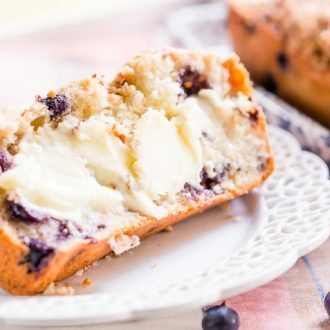 Blueberry Ice Cream Bread is a delicious and easy sweet bread recipe made with just six ingredients and ready in less than an hour! 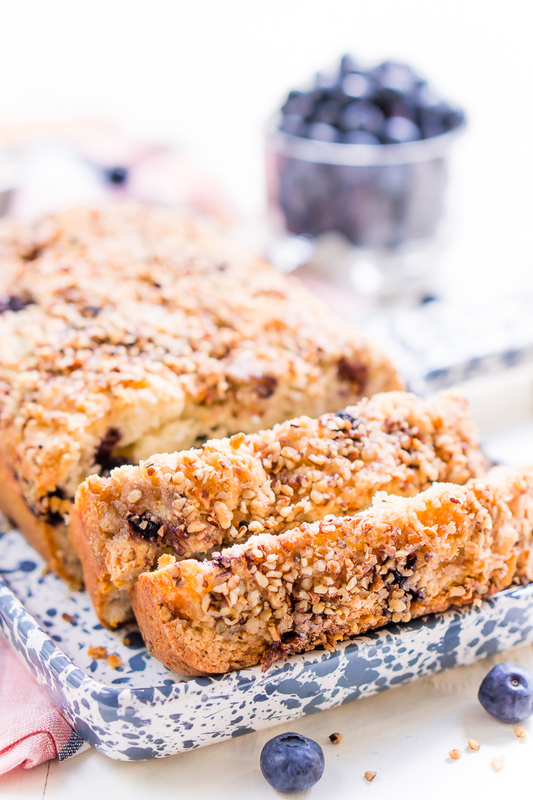 Blueberry Ice Cream Bread – yeah, you read the title right, ICE CREAM bread. Who would have thought! Did I mention the best part about this bread is that it only has two ingredients! I know that seems crazy, but it’s true. I first came across ice cream bread years ago and was amazed by the concept and just had to try it out. You can pick whatever flavor ice cream you’d like and if you want to spruce it up a bit you can add things like fruits and nuts like I did! 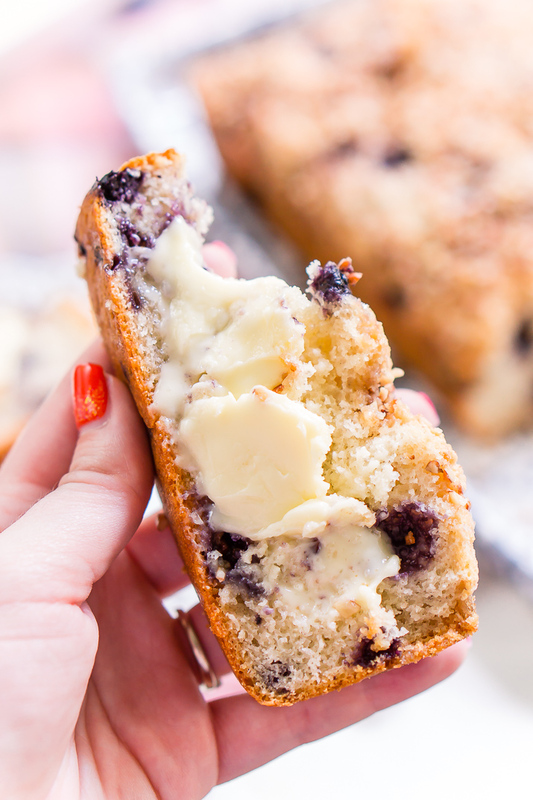 The key to this magical Blueberry Ice Cream Bread is the SELF-RISING flour. It is super important that you use it and do not substitute it for all-purpose flour because if you use that, the bread won’t turn out. Buy My Favorite Loaf Pan Now! 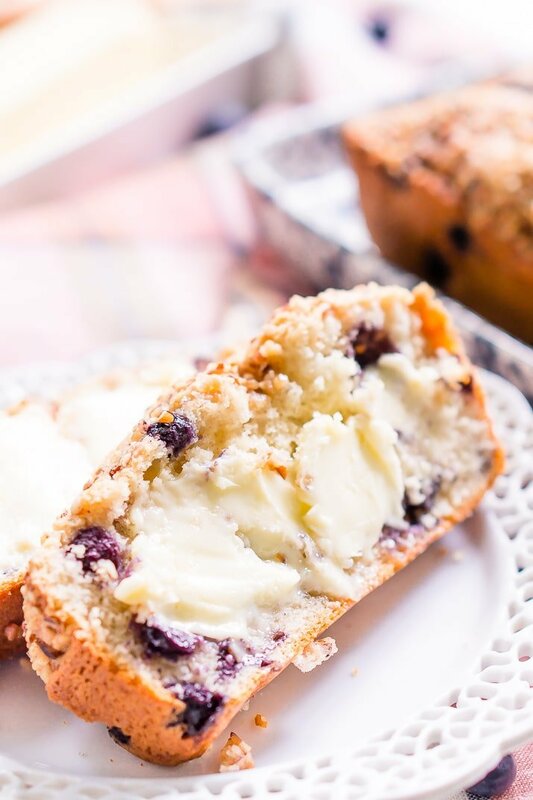 This bread was fluffy, moist, and flavorful and so easy to make! 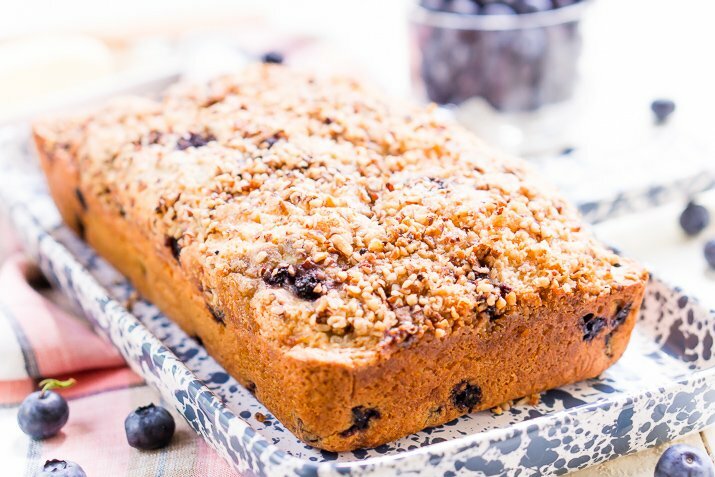 It’s made with just six simple ingredients: vanilla bean ice cream, self-rising flour, blueberries, brown sugar, pecans, and butter. It’s the perfect addition to any breakfast and is definitely a recipe your kids will love making! 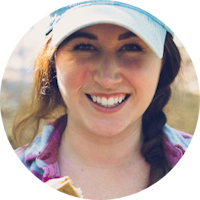 I love how versatile this recipe is and how you can make it fit your own personal tastes. You can make it chocolaty, fruity, I bet you could even find an ice cream that would make it savory, too, or even add in some fresh herbs! I love my Strawberry Ice Cream Bread too! So go out, experiment, and don’t forget to report back with the flavors you chose! Preheat oven to 350 degrees F. Grease a 5x9-inch loaf pan and set aside. In a large bowl, beat together the softened ice cream and self-rising flour until well combined. 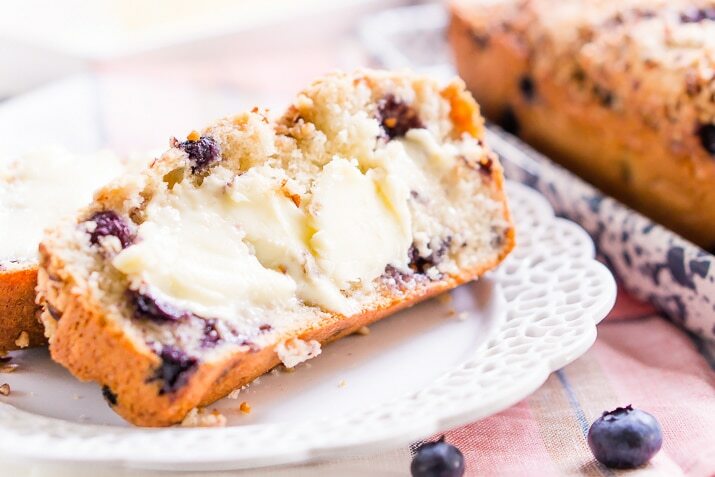 Fold in 3/4 cup of blueberries and pour into the prepared loaf pan. Sprinkle the top of the batter with the remaining blueberries, brown sugar, and pecans. Then drizzle the melted butter over the top. Bake for 45 to 50 minutes until golden brown and a toothpick comes clean from center. Hi Rebecca, thanks for this wonderful recipe. I made them into individual petite loaves. So moist and delicious. I’m so glad you enjoyed it, your version looks delicious! Muffins are such a fun idea! Love the peach flavor addition! Normally I’m not a big cake eater, but this was soooo delicious & so moist. It was probably the easiest cake I’ve ever made. I liked that it wasn’t very sweet, altho some people might prefer a bit more sugar added, but its perfect as it is for my tastes.I’ll be making it whenever I have company, and trying some of the other versions, especially the chocolate ice-cream and peanut butter. .